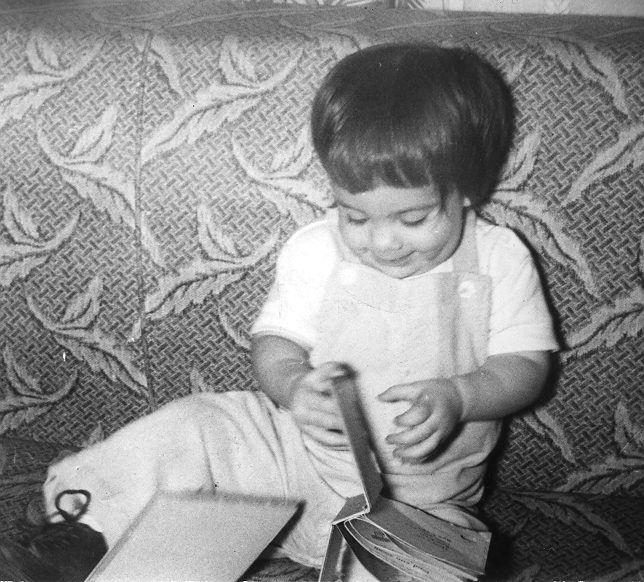 I began my author journey early. What will I need when I visit your school? Because my talks are highly interactive, I limit group size to a maximum of 60 students. That means the ideal presentation space is a classroom or a corner of the library. Kids can gather closely and sit on the floor, or bring chairs if they prefer. Please don’t put me in the gym or cafeteria. These large, echoing, sports-and-food related spaces make dialogue difficult and distraction guaranteed. A library or classroom is perfect. I’m also happy to travel room to room. I’ll need a swatch of light-colored butcher paper, and 5 or 6 feet of flat, horizontal space—a whiteboard, a wall, a rolling blackboard—to tape it up. That’s all! I’ll provide all other materials. For appearances outside driving distance I’ll arrange travel and per diem in advance. Please note that I would much rather stay at a plain, clean, non-smoking motel than at a fancy B&B—save your money to hire another author-presenter!